When it comes to on-screen chemistry, actors either have it or they don’t. 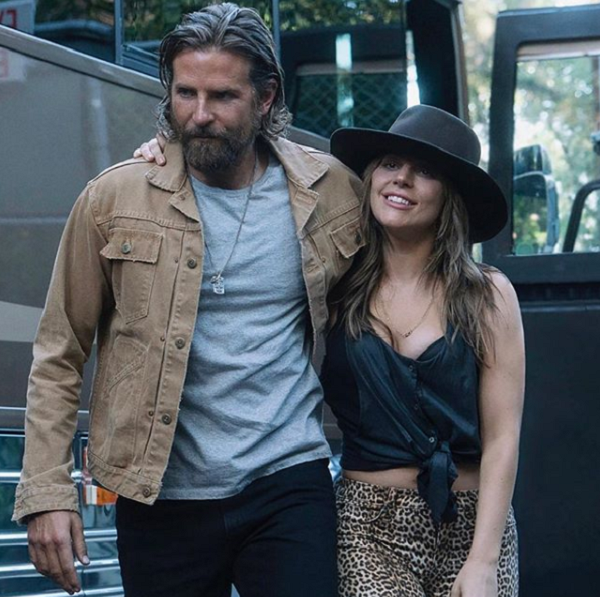 If you’re among the millions of people who’ve watched “A Star Is Born” starring Bradley Cooper and Lady Gaga, you already know that these two actors have chemistry to spare. Their gritty portrayal of a mega-star on the decline and the ingenue he plucks from obscurity was a smash box office success, and it’s now been nominated for an astounding eight Academy Awards. While Lady Gaga waits to see if she will win a Best Actress Oscar, she’s keeping busy with “Enigma,” her Las Vegas residency. 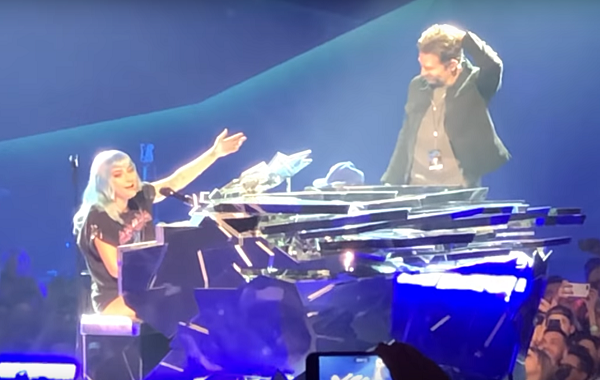 At one recent show, audiences were treated to a truly incredible experience when Gaga called out none other than Bradley Cooper to join her on stage. “So a really good friend of mine… I don’t know if you know him but his name is Bradley. So I’m gonna be a little chance-y… Yo Bradley, you wanna come up and do this one?” Gaga said into the mic. The crowd immediately roared their approval, and seconds later a shy-looking Bradley came on stage. 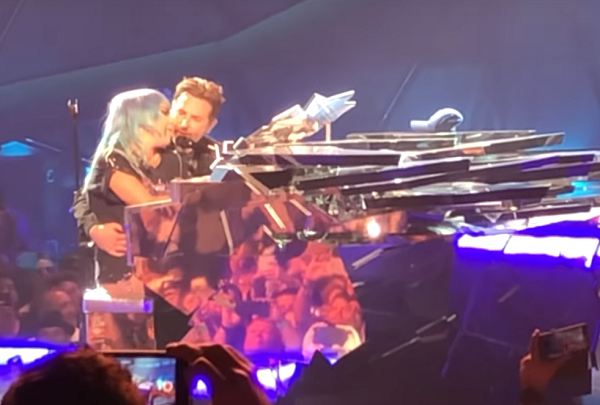 As Gaga helps Bradley put on his in-ear monitors so that he could hear himself singing over the deafening crowd, the actor made a joke about how his character, Jackson, “never used these.” Once he was all geared up he took a spot at Gaga’s piano as she knelt at his feet and gazed up at him adoringly. After he sang the first verse he stood back and let Gaga take over. She sang the rest of the song with such passion that we felt like we were in the movie. This wasn’t a pair of entertainers on stage; it was Jackson and Ally, reunited once more. They truly seem to have a loving bond that you don’t often see among professional actors. “Shallow” already won a Golden Globe for best song in a movie, and there’s a rumor buzzing that Bradley and Gaga will reprise their performance live during the Academy Awards. 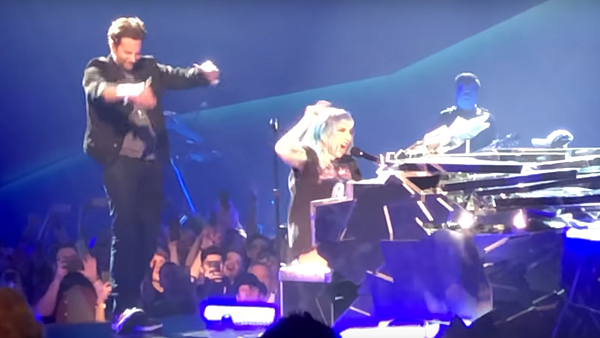 Judging by how well this impromptu performance was received by the packed house in Vegas, not to mention on the internet, we’d say they’re going to bring the house down at the Oscars! They’ve certainly got our vote. 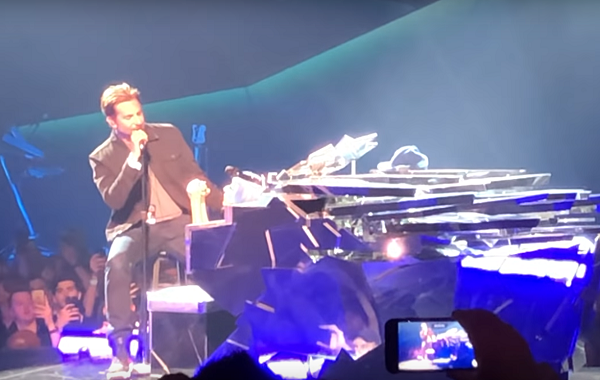 Watch Bradley Cooper singing with Lady Gaga in the video below, and be sure to share their incredible talent with the world.